Don't attempt to insert/remove the SIM card while the device is powered on. Doing so may harm the SIM card and/or the device. 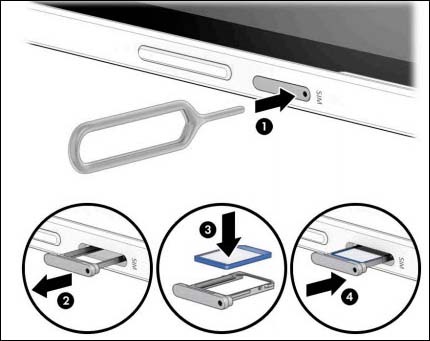 Remove the SIM card from the tray as shown (figure 3). Press in on the tray to lock it into place (figure 4).